A ROCKET launcher, flame thrower, tasers, crossbows and other Second World War firearms were among more than 19,000 weapons surrendered during Queensland's gun amnesty. 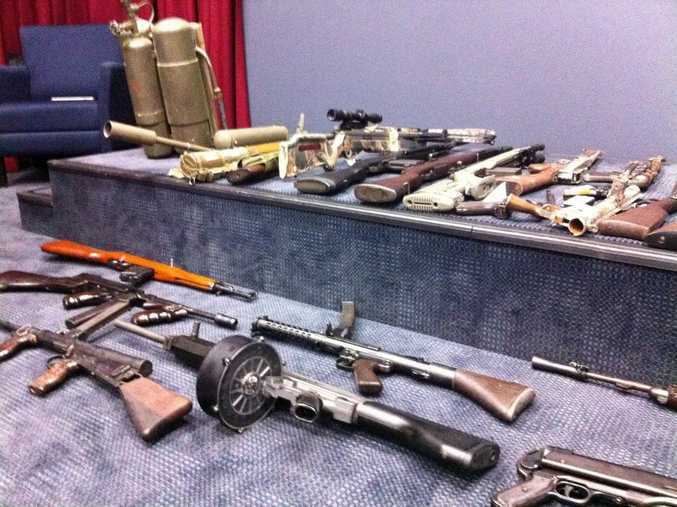 The weapons came from both regional and metropolitan areas, though the North Coast region, from Redcliffe to Bundaberg, had the most handed in. There were 918 handed in at police stations across the region but 1747 handed in during the three-month amnesty which ended on April 30. Police Minister Jack Dempsey said the tommy guns, flame throwers and other weapons had come from the "city to the bush, from the Cape to the Tweed". "There would have to be thousands more firearms out there and we're not naive to think there isn't but there is deterrence in place now and penalties in place to make people realise," he said. "If they came into the hands of the wrong element it could certainly cause some damage. "A rocket launcher's capacity is going through two feet of concrete and nine inches of metal. "It could be quite catastrophic in the hands of the wrong people. "But now we're able to get them rendered inoperable and find out where they are and stored in a safe place." Acting Commissioner Ross Barnett said this was an improvement on the last amnesty which netted about 10,000 weapons in 2004. 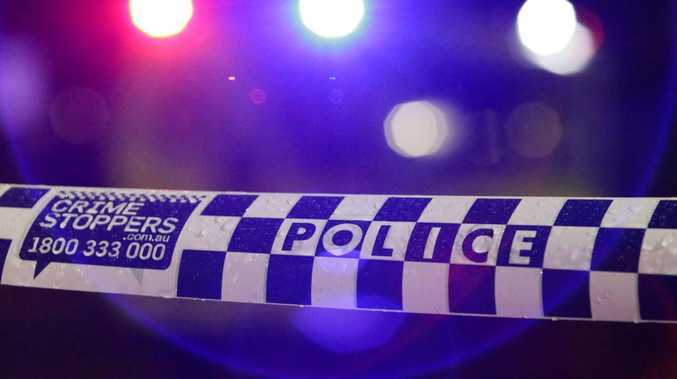 He said the Queensland Police Service wanted to ensure the minimum number of illegal firearms remained in the community and unaccounted for - urging people to keep calling Crime Stoppers about the problem. "They're older style weapons that have been kept in families, sometimes handed down through generations," he said. "Not kept for any specifically illegal purpose, people just hadn't got around the getting rid of them and this provided the ideal vehicle to do that." The amnesty team took almost 3000 phone calls and also legally registered 14,000 weapon between February and April. Mr Dempsey said there had been a surge in weapons surrendered in the final days of the amnesty. He said he asked people why they were handing them in and the new mandatory jail terms for possessing, supplying or trafficking illegal firearms were making a difference. "Previously, from other amnesties, they knew they would have gotten a penalty of anything from $250 to $350 for possession of concealable firearm whereas now they'll have mandatory jail sentences," he said. "It's a greater motivation for people doing the wrong thing to come forward." There were more than 500 firearms stolen in Queensland last year, with an estimated 1500 stolen across Australia each year. Crime Stoppers Queensland's blitz to get people anonymously reporting illegal firearms has now been adopted nationally through Operation Unification. CSQ chief Trevor O'Hara said there had been record numbers of firearm tip-offs - 74 tips in the past 22 days - since launching a new campaign. He said that was triple the daily historical average and showed Queenslanders desired a safe community. "They're concerned about gun crime and illegal firearms in our community and wish to share information anonymously through Crime Stoppers," he said. To report illegal firearms, phone Crime Stoppers on 1800 333 000 or go online to www.easyas321.com.au.